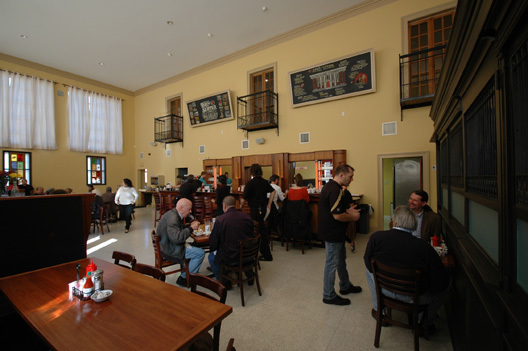 This is our second restaurant renovation at this historic building. Previous to Hurricane Katrina, it had been the Bank Café, for which our firm received an Achievement Award for Restoration from the New Orleans Historic District Landmarks Commission. 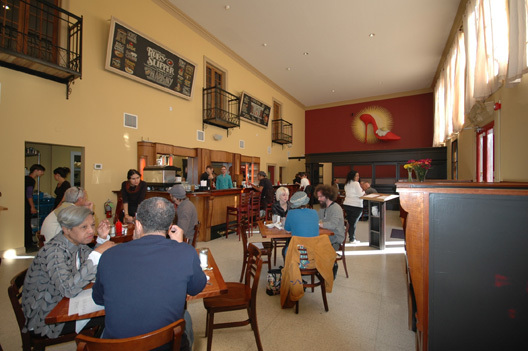 This Ruby Slipper Café is the third Ruby Slipper location in New Orleans. Whereas the Bank Café had been a dinner restaurant, the Ruby Slipper is a breakfast and lunch restaurant. The food is delicious; we hope you'll get a chance to try it. • re-organize service and dining areas as required for new restaurant.